I mentioned a while back that I have been in the mood to sew some clothes. One of the reasons it that I knit sweaters, and then I can’t find anything to wear under them. The only way around this is to make something to wear under the sweaters. 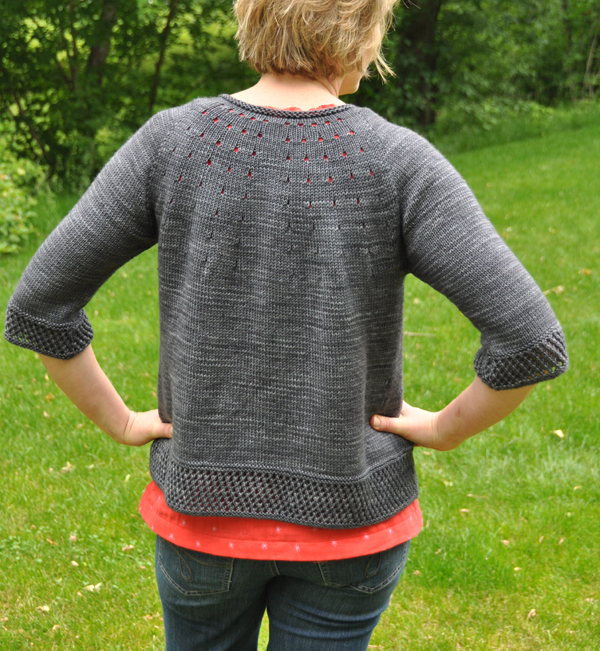 For example, I made this sweater, called Vitamin D in this beautiful grey yarn from Blue Moon Fibers. The yarn is one of my favorites – Socks that Rock Heavyweight. It has beautiful shine and drape. This is my second Vitamin D sweater. You can read about the first one here (scroll down)and you can find my Ravelry link to the second one here. For my second one, I added the lace detail at the bottom, since I didn’t think they should be exactly the same. When I got the sweater done, I had nothing to go under it. I had been wanting to make a top out of the double gauze fabric that I had seen at spring quilt market. I decided on this one because it has a small grey circle scattered about that pulls the two colors together. Plus, I have been crushing on all things coral lately. I kinda like it better with the sweater over it. My other thought after making the shirt out of the double gauze is that it has no stretch. I really prefer comfort over looks, so I think I will be making more knit tops from now on. Speaking of knits, I also found this print that matches my grey sweater. 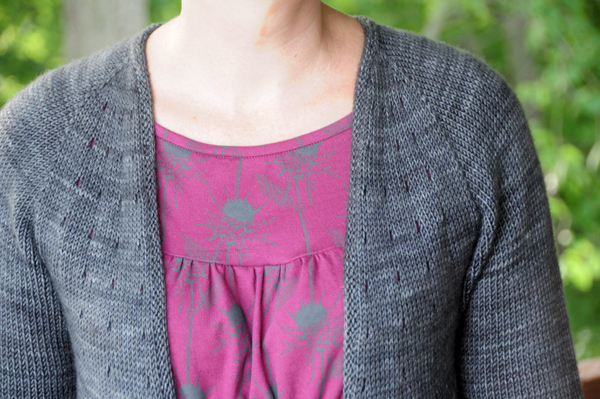 (Here is the link to Hawthorne threads where I purchased the knit). It’s really comfy and so is the sweater. That’s all for today folks. 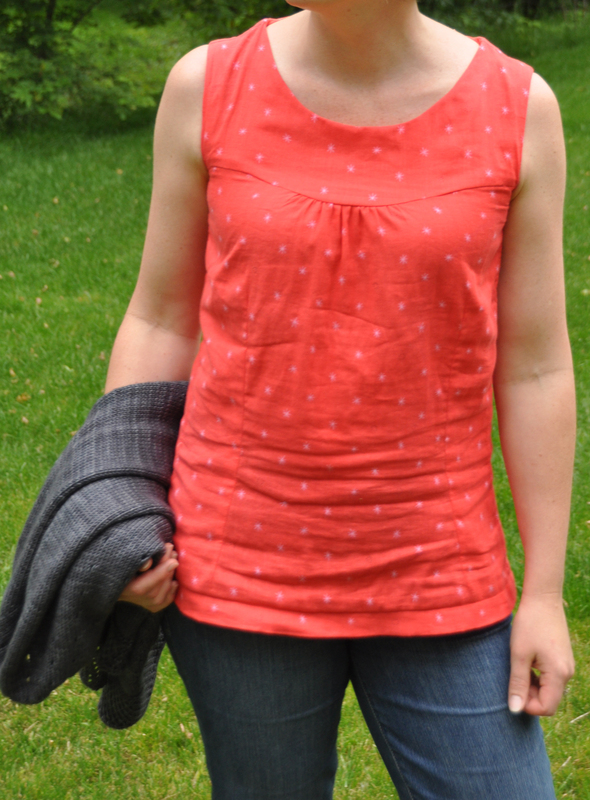 I have to say I have been enjoying my time sewing these tops. Since quilt market and the end of the major deadlines, I have been sewing clothes during the boy’s nap time, rather than working. What a treat to steal away to the sewing room for a little time away! 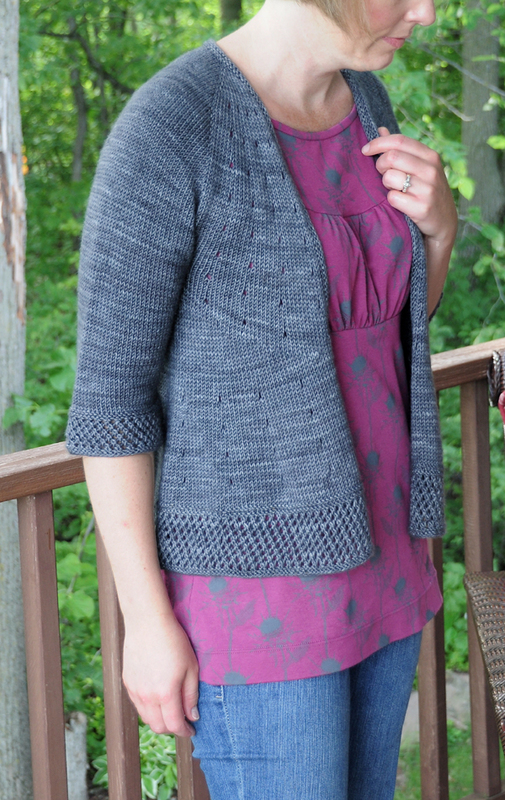 This entry was posted in Clothing, Fabric Trends, Sewing and tagged Cardigans, clothing, double guaze, Double Guaze by Cotton and Steel, knits, potent knits by Anna Maria Horner, sewing, tops, vitamin D. Bookmark the permalink. I really like the second top with the added detail and the lace at the bottom on the sweater. I admire the courage and skill to go at it and modify. 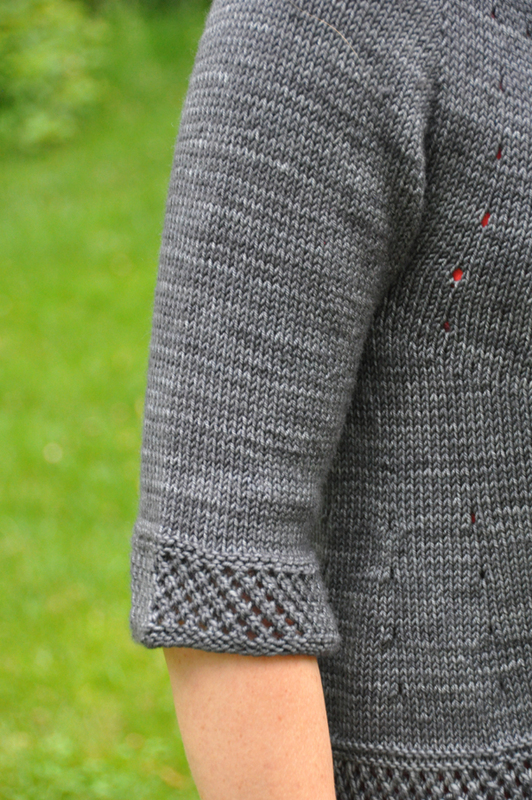 What pattern did you use for the shirt, or is it an original HMP creation? I admire you for going ahead and doing alterations on a pattern to fit your taste. You are so lucky to be able to just figure all of that out! Your sweater is beautiful, and your hand-sewn tops are darling underneath. Oh wow!!! Your sweater is beautiful!! 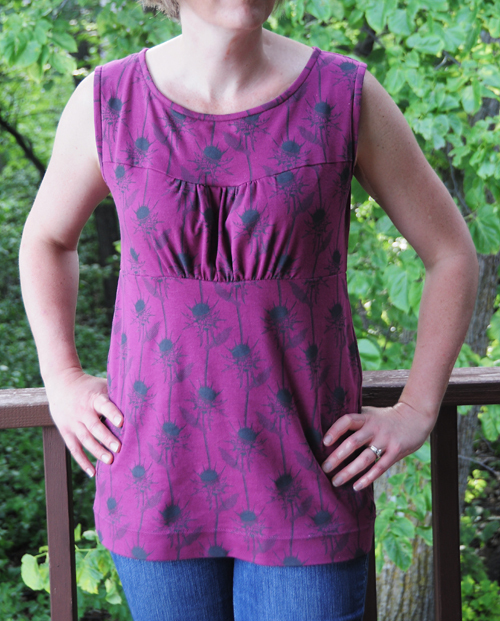 It looks adorable on you, right along with your tops you made!! I really like your first top! I love that color! But…I really…really like the second top with your sweater as well! They both look really nice even without your sweater! Thanks for sharing your “many” talents with all of us! I say, you’ve gotten yourself into a lot of good things!! Your a talented person! Dream until your dreams come true! I believe that’s what you’ve done! 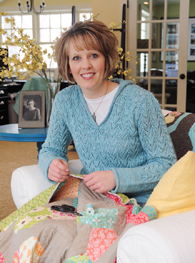 In your family, quilting, knitting, sewing tops and the list just goes on! 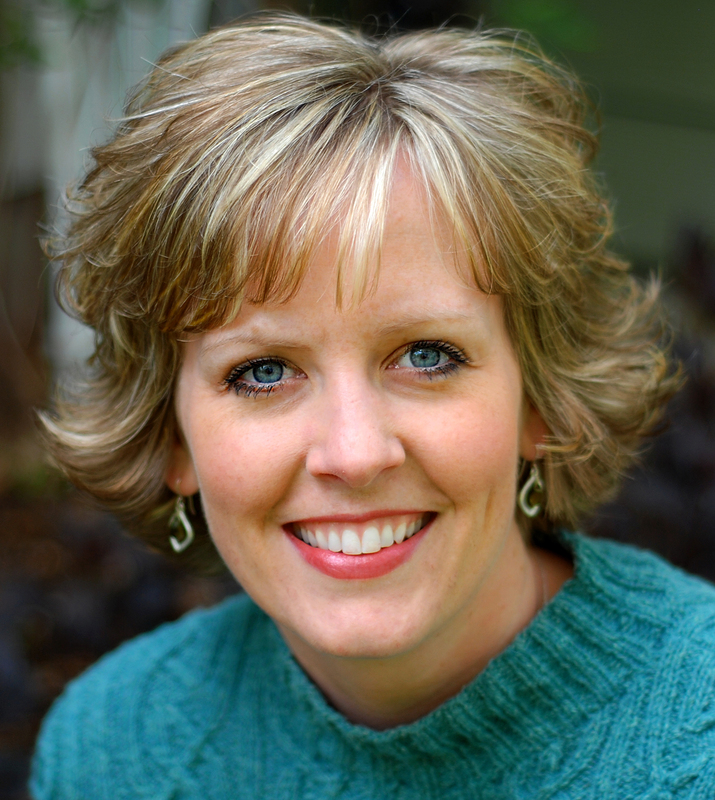 Good job Heather! You really inspire the rest of us!! Once again, a beautiful sweater. I am loving the coral color also so I have been using it a lot. Both of the tops are darling. Don’t worry about the wrinkles. Linen wrinkles terribly and yet it is a preferred choice for tons of top of the line fashions. There is a name for them. It’s “elegant wrinkles”. And I’m not just joshin’ ya. Your sweater and your tops are very fine. It seams too easy to modify a pattern but I know it’s not. Ohhh, I LOVE the sweater AND the tops!! I can’t knit and I don’t sew clothes so I’m totally jealous. They look so fabulous together. You’re so clever adjusting patterns to suit your tastes. Especially knitting patterns. Love the cardigan. I too love coral but the 2nd top is a really love match too. Both tops are cute but I can see how the second top is more comfy and wrinkle free. Your sweater is beautiful. You are sooooo very talented. I don’t know where you get the time. Thanks for posting all these inspirational pics.